Barry Waugh has edited a new book of letters written by J. Gresham Machen during World War I. 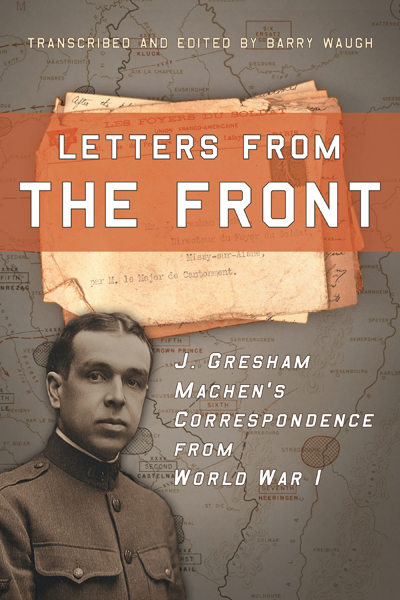 The book is entitled Letters from the Front: J. Gresham Machen’s Correspondence from World War I. Waugh sat down recently with Camden Bucey and Jeff Waddington at Reformed Forum’s Christ the Center for an interview devoted to his book. Together they discuss Machen’s service as a YMCA secretary in France during WWI, the content of the letters, why Machen served, and how he sought to relate to French culture. You can listen by clicking here. Praised, maligned, and misunderstood, the effects of Old Princeton Seminary have towered over theological discussion for a century. From the time God raised up this school in 1812 until 1929, the Princeton theologians were the stalwarts of experimental, Calvinistic theology. The founders of Greenville Presbyterian Theological Seminary consciously adopted the Princeton Plan as the foundation of instruction for the seminary. Therefore, it is our pleasure to devote our 2012 Spring Theology Conference (the 200th anniversary of Princeton’s founding) to an assessment of Princeton and the practical lessons for the church today. Our aim is to shape the discussion in a practical way that will benefit all who attend. Be sure to sign up early for this popular annual conference and save. Early Bird registration cut-off is Monday, February 13th, 2012. 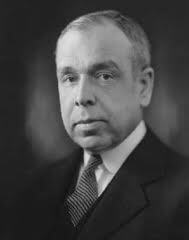 This new blogging venture is dedicated to promoting and discussing the work of J. Gresham Machen (1881-1937), a Presbyterian theologian, one of the founders of Westminster Theological Seminary, and founder of the Orthodox Presbyterian Church. One of Machen’s best-known works is Christianity and Liberalism . Also available here.